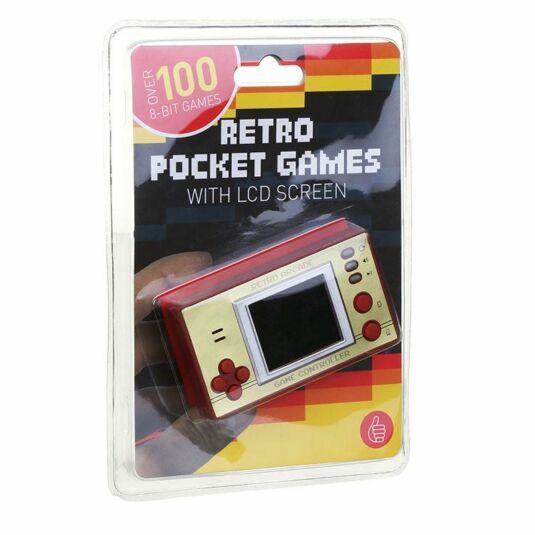 Re-live some of the most classic and iconic video games with this Retro Pocket Games device. This brilliant item includes over 100 8-bit games to choose from, and each one instantly fills you with a sense of nostalgia. 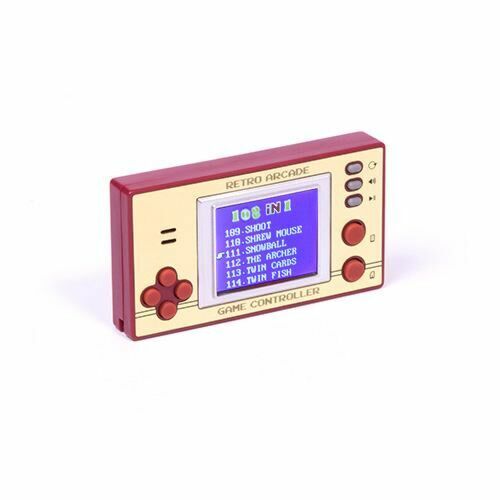 This retro gaming device is extremely portable, it measures 5cm high, 9cm wide, and 2cm deep. It can be easily fitted into your pocket and taken with you on all adventures. 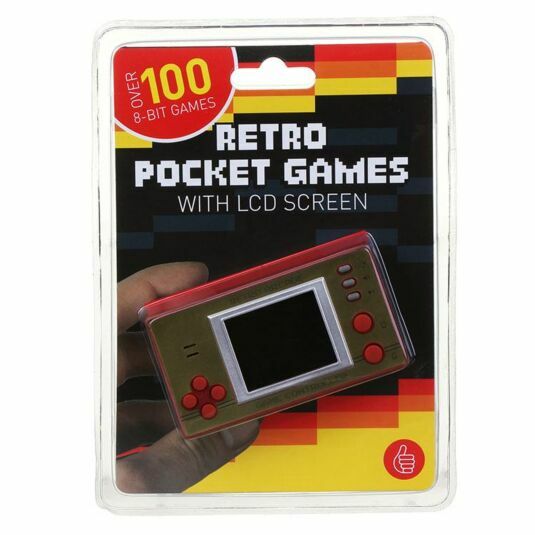 The 1.8inch LCD screen allows for easy gaming, and does work really well with the 8-bit games. This product requires 3x AAA batteries to function; these are not included but can be added to your order! 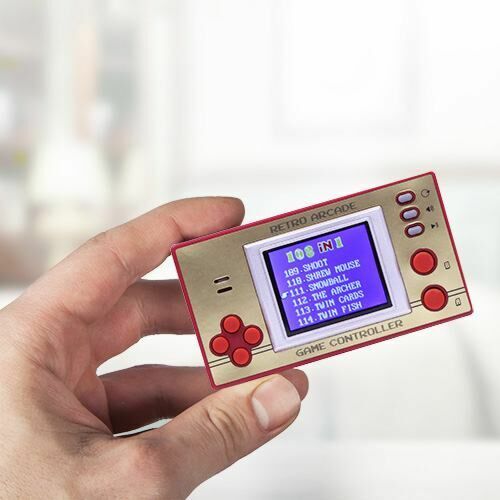 This item is perfect for anyone who wants to play some of the most vintage video games ever created. That could be your father, brother, husband, boyfriend, or even yourself!